There is no limit to the scale of Virgil van Dijk’s ambitions for this season. However, amid a relentless fixture schedule, Liverpool’s No.4 is not getting carried away by the early-campaign positivity generated by a run of six straight wins. “We have to keep working hard and stay humble. 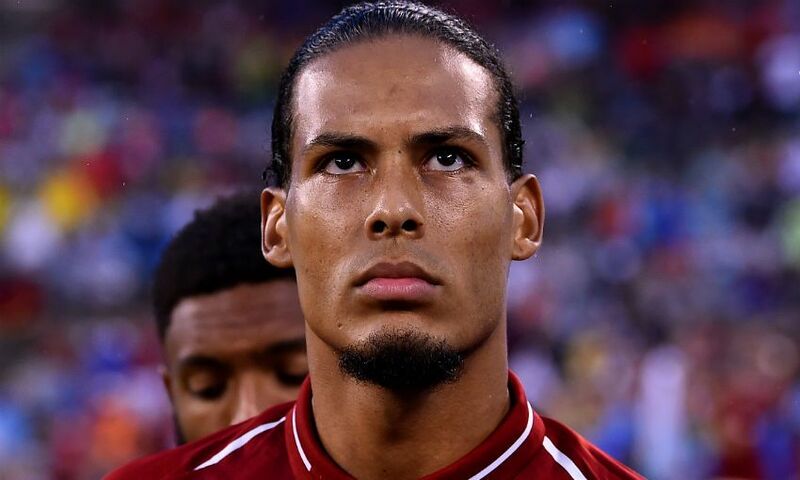 We have a tough game on Saturday with Southampton, then Chelsea and Manchester City coming up,” Van Dijk said, following Tuesday’s dramatic 3-2 victory over Paris Saint-Germain. “When games come along every three days you have to be properly prepared, it’s the only way forward. That and the right mindset. I want to create memories here, I want to win things with this team, and to do that we have to have belief in our ability to beat the best teams. “If you are going to be out on the pitch and you don’t believe that, then you had better stay at home. “We were not in the Champions League final last season for no reason. We already deserve respect for what we did but in football you have to keep proving yourself because it always starts again. Roberto Firmino struck in injury time to beat PSG on a European night to remember at Anfield earlier in the week. The Brazilian’s late, late intervention ensured the Reds began Champions League Group C with a win, having also collected 15 points from their first five Premier League outings ahead of this weekend’s meeting with Southampton. And Van Dijk cited the togetherness within Jürgen Klopp’s squad as a key factor behind their impressively-strong start to a season he believes can feature silverware. “This is a great time to be a Liverpool player. Everyone is excited, everyone wants to be a part of it and though we know the season is very long, with four competitions to play in, we want to win everything. That is basically our mindset,” the Netherlands captain continued. “You need to have ambitions, and with the size of this club and its history we are going to try to win everything. It is going to be hard, and there will be days when we have downs, but we have shown we can react to tough situations and at the moment I am not worried about anything.